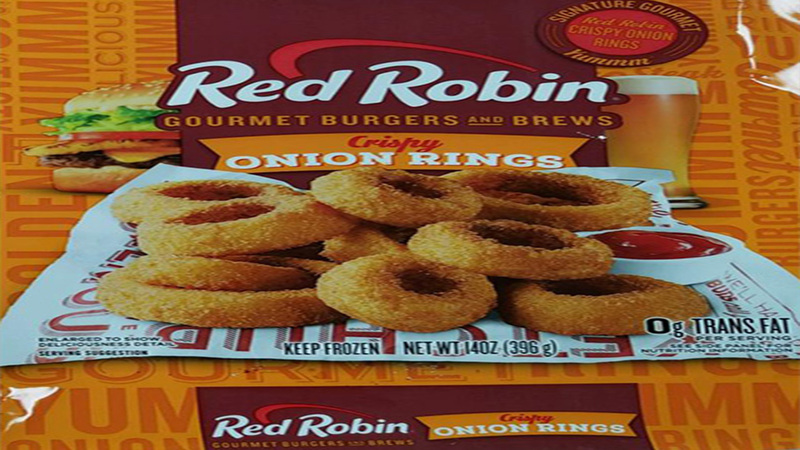 Red Robin Burgers and Brews Crispy Onion Rings are being recalled because they may contain milk, an allergen which is not listed on the package. Lamb Weston is recalling 14-ounce packages of the frozen onion rings manufactured by Fry Foods. People who have an allergy or severe sensitivity to milk run the risk of serious or life-threatening allergic reactions if they consume this product. These products are not served in Red Robin restaurants, they're only available for purchase in grocery stores. No other products are impacted by this recall. The Sell By Date and Package Code can be found on the back of the package. The HH:MM portion of the Package Code indicates the time the product was made and will vary by package. Consumers who have bought Red Robin Burgers and Brews Crispy Onion Rings are urged to return them for a full refund. If you have any questions, you may contact the FDA at 1-866-518-0137, Monday through Friday from 9 a.m. to 6 p.m. EDT.